"One of the best tools for desining and prototyping"
1) It's integrated with the rest of the Adobe Suite, which means it's fully integrated with Adobe Photoshop and Adobe Illustrator. Almost the same shortcuts and it feels very familiar and thanks to this the learning curve is not steep at all. All these reasons really helps speed things up. 2) It´s for design and prototyping in just one tool. No need to go from one software to another. 3) It's on Windows! Unlike Sketch for example. 4) The desktop and mobile previews are really good. The fact that it's still fairly new and not a lot people uses it. The free version only allows for one prototype at the time, although at my company we create several prototypes at the same with an Creative Cloud suscription. Font management is still restricted to selected fonts as far as I know, it would be nice to have access to Google Fonts for example. It helps us speed the design approval process thanks to the sharing link option, which enables us to share our prototypes with different people so they can add comments. It also helps the developer in our company understand how a design should work before actually developing the actual website or landing page. "Easy UI designer that has the power of drag and drop with the slickness of Adobe"
I like the simplicity of XD. It's incredibly easy to use. Click on an artboard and then drop simple shapes to make something beautiful. It works very well for modern day "flat" UI designs. It also works for multiple device sizes, the the tool can be reused in multiple settings. There are also additional benefits such as "repetitive" grids that make it easier to duplicate similar items. I like that we can also choose to animate our final designs to present a working mockup. Other aspects such as "layers" from other Adobe products carryover well to XD. I'm also glad that it's free - which means a low barrier of entry. Sometimes the customizations of shapes with Adobe XD can seem too minimal. The truly exposed shapes are only circles and rectangles. It's not intuitive to see how other shapes can be made. One of the most frustrating things are about XD is when copying and pasting the images. There is no ability to crop an image. So beware when taking screenshots. Exporting an artboard as an image can also be made better. For example, you will have to save the image to disk to save an artboard. If you have a lot, it's hard to find it. I'd prefer to simply copy and paste the artboard as an image. Sketch is only for Mac. This is a good way to get into Adobe design products and easy if you already have experience with other Adobe products. "Incredibly lightweight and speedy design tool"
How quickly the app runs even with a huge number of art boards. Illustrator or indesign would never be able to cope, let alone at the pace XD does. The treatment of certain assets upon export. Although I don’t use this option much so it may require more knowledge. More consistency of logic with how illustrator works (pathfinder) would be nice. If you have Adobe suite and are considering purchasing a prototyping solution, try this first. Adobe XD is being updated regularly and will be in line with other features we would expect in time that apps like Sketch currently have. From Beta to Now the improvement is already huge, and to have an app tied in with the rest of your Adobe Suite that prototypes well just brings a compatibility bonus and workflow bonus that other apps don't have. Web prototyping, it is increasing boththe speed of our workflow and the level of design we can show clients in the early stages. First of all I like that Adobe is attempting to break into this realm. They are behind the times when it comes to UI. They were so dominant for years with photoshop it's probably hard to see the changing landscape. I think they have the right idea with the interface and it simplicity. Naturally the integration with the adobe cloud is fantastic and typekit integration is AWESOME. It is a far better product than it's initial development beta for sure. It has solid integration with photoshop and probably the #1 thing, Adobe was very very smart in making this a FREE product. You don't have to have a CC licenses to use it. It's just not thought out. At it's current stage it feels like beta software at best. No interface that's established for symbols. Clunky layer/clipping system and the prototyping just isn't there. If it has a chance to compete with sketch or figma it needs about double the amount of features and development time. I gave it a good shot and completed some projects but it just isn't there yet. I'll make sure to reevaluate this down the line to see if they haven't made any improvements. I REALLY needs some work. So don't expect sketch level community support or features. I can't say I'd recommend this to anyone really at this stage. We did some small page mockups in it but ultimately decided that it wasn't right especially once we discovered Figma. "Good Cross Platform design Tool"
Adobe XD works across windows and mac and comes with adobe suite. That means that designers I outsource to can get and use XD affordably and I can still use it in my workflow. It is also a great looking design tool compared to Adobe's past product. Very user friendly, like they actually had modern designers working on it. Very much appreciate that! I primarily use Sketch and while I love testing out and using new tools like XD and Studio the thing that keeps Sketch my primary design tool is the plugins. I can do just about everything I need in Sketch thanks to the plug in family, which is still lacking in tools like XD. Keep waiting on it, it's improving rapidly. Getting design work from across the globe even from people without macs so that the design output is still high quality, quick turnaround, and affordable. It's very user friendly with the most simple and intuitive interface I've seen for UX design. It's also cross-platform, which is great for designers using windows. A lot of major features that other products already have are still in development and not yet available, but the team is pretty good about listening to user feedback on their request forum. Major updates are released every month or so, if a big feature you want is missing, be sure to mention it on XD's feature request forum. They're very active and pretty good at listening to their users. It's also free right now, so there's no reason not to try it. It's cross platform with frequent updates and is included in the CC suite, which my team was already using. We use it for software interface design. "Handy Tool for Non UI/UX Designers"
The design tools are familiar. I can quickly figure out all how to use it without going through a bunch of tutorial videos. The program itself is light and opens fast. It still preforms quite well when having a large number of artboards. XD is fully integrated with other Adobe’s programs. Just like how you use PS, AI and ID, you can copy&paste elements directly from other programs into XD. You need adobe CC to view or edit the project files. No way to export single element as vector to Illustrator. There is no real image editing tools, you will need other programs to edit then import to XD. There is no layer feature, so it's not handy if you want to select multiple ungrouped elements. Although XD is missing some of the core features over Sketch, it's more like a mix of basic Sketch and invision. It's a great toll for those who just want to create simple prototypes and share with others as quickly as possible. I used Adobe XD for Company website rebranding project. Because we didn't have UI/UX designer in the team at the moment, so I had taken over the wireframe task. Compare to Sketch, Adobe XD was easier to get started for people who don't have UI/UX experience. It saved me a lot of time. I discovered Adobe XD with pleasure. Previously, when I had to design the interface for an app, I used only Illustrator, but obviously with limits. Now with XD everything is easier, I can add interactivity between the screens and offer a complete prototype to my customers, even publishing on an online link. XD can only improve. For example, it does not allow the insertion of videos or hmtl codes, or even animated gifs. It would also be intriguing to include slideshows or gallery simulations to make sure that the prototype is more and more faithful to how the app will be. It is a software that can not miss for a UI / UX designer who in everyday life designs interfaces for applications or websites. It is easy to use but effective and professional, with excellent compatibility with Illustrator and Photoshop. I have created different interfaces for applications or even for websites, offering a more complete view to the customer, publishing online the interactive prototype. "Excellent program for app developers"
The positive parts of this program are numerous. Its ease makes the development of app interfaces very fast. Great to show the customer all the features of an app still in development. I recommend using the software to all website developers or smartphone apps, above all for those who have to convince the customer by making a real use of the project. The ease of use. after exporting the files, the customer can try the app or website. I like how it's all in one place for my UI/UX Design. Prototype and Design tools, all in one. I don't have to switch around multiple apps. I can easily share files online with the share tool and its amazing- though it can still be alot more. The best feature I have fallen in love with is the Auto Animate tool. I can easily prototype and give amazing animation effects with just a few clicks. I dislike how there isn't an online collaboration tool with this software. Something like Figma where I can send it to stakeholders for review and they can tell me through the online version, some critiques. I also dislike how the power behind the plugins not on par with some of the other tools in UI/UX Design. It could still use a little more. This is an amazing product/ tool to have in your toolkit, and it's the future of UI and UX Design. It will only get better. If you or someone are thinking that this is just in it's beginning phases, think again because this really packs a punch. It can really by replaced with all of the other tools and all you need is this one tool for it all. I'm helping to make products whether they be mobile, desktop, or computer. Also helping to solving complex business problems and making refining the user experience. Another thing is increasing audience retention with the events that happen on an annual basis. "Powerful UI/UX designing software product"
It’s really a light weight software app. Easy to use. A single software to design the UI and UX prototyping. Very usefull plugin supports. As a user if adobe products, the xd is really good tool that helped me to do my Ui/UX design works in an ease. "UI / UX Design for web and devices"
Software that was missing from Adobe, it integrates seamlessly with Illustrator and Photoshop and allows you to create an entire user interface project with the creation of a final interactive prototype, which can be easily viewed on your smartphone thanks to the Cloud and the possibility to connect the device via USB. There are still some tools that allow the possibility to insert pull-down menus, sliders, galleries, which can give added value to the interactive prototype realized and shown to the customer. Surely the best software to create interactive prototypes of applications, also for simplicity and for the ability to integrate with other Adobe software, such as Illustrator and Photoshop. I have created several wireframes and prototypes for mobile applications, to be shown to my clients thanks to online publication. The results were professional and the customers appreciated. I'm not a web or app developer but when I want to play around with wireframes this program is my go too. It's so simple to use not a lot of tools to bog you down and it's light on my laptop. I don't like that sometimes it takes a little bit to load up on my laptop. Also once you first start using the mockup tools you can get really caught up with all the different stuff you can do with it. So that could be a little daunting at first but once you mess with it a little it evens itself out. It is heading in the right direction, I just wish Adobe would change their pricing for their programs. I can layout designs ideas for my website when I update it. It allows me to play with the versatility of the designs and ease of the site. "Best tool to create your dream prototype"
There are lot of things, which I like very much. Adobe XD change my way of designing websites. Its really hard to design Website using Adobe Photoshop or Adobe Illustrator When compared to Adobe Experience Design. Like I said before, This is one of the best tool available online for prototyping but this also has major flaws. After last update, Sometime, while design space button stops working sometime it hangs, Need to restart the app. I like the ability to make PDF's editable, from creating forms and esigning them on a computer. I use Adobe XD to make our PDF's Professional. It makes our pdf's look nice and professional vs our competition. I also love the ability to save our signature and sign files without having to print and scan them. Using Adobe XD will not only make your company look more professional, it'll make gathering data and filling out papers online easier. With Adobe XD, are making responsive PDF's that allow our employees to get contract signatures on the spot. This solves the problem printing and signing files then having to scan in those files into the computer. "Excited to see where it goes"
Adobe XD is already a great UI/UX and prototyping tool, but one of my favorite parts is that it isn't fully completed yet. 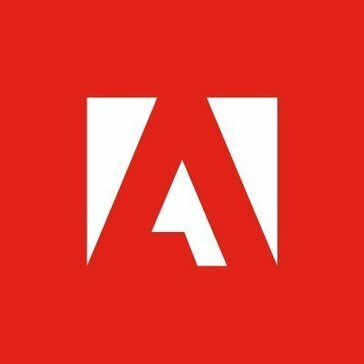 It is still a new product so updates and new features are released all the time, and what makes this so great is that Adobe really listens to what the users want. They support a very active group for XD where you can report bugs and suggest features. Currently, some aspects of XD are quite limited, though I do feel that some of this may be changing. The main problem for myself is the very lacking photo editing capabilities in XD. I currently have to edit my photos in Photoshop and import them into XD for even the simplest of editing i.e. rotating, resizing, reflecting, etc. Become active in Adobe's boards and join the discussion! If you don't like something, now is the time to let your voice be heard! We are designing new applications and redesigning our current websites and use XD for UI/UX design and prototyping. "Sketch no more with Adobe XD!" What I liked best about Adobe XD is the closeness of the interface to other Adobe products like Photoshop. There are also a lot of tutorials available on the Adobe site or on Youtube. The best part is that it is FREE and I hope it stays like that! It is also available on Windows unlike Sketch which is only available for the Mac OS. What I dislike the most is that Recording prototypes is not currently supported in Adobe XD on Windows. Also anything Adobe is a real resource hogger because of the many plugins loaded. Also the interoperability with other software such as Affinity Designer is non-existent which I don't think will happen anytime soon. People looking at creating prototypes on the Windows 10 OS should be closely looking at installing Adobe XD. We all know building prototypes in the PAST requires several people on board for the UI and the backend coding. WIth Adobe XD, you just need someone great in building UX / UI kits and you can now have a prototype for your web or mobile app. Adobe also has a lot of complementing software to make work easier and faster with the entire Adobe Creative Cloud suite at the disposal of the designer. Ease of use. Tutorial introduction and walk-through. Integration and likeness to other products in the Adobe suite. Cropping images into shapes is awesome! I really enjoyed using it and felt that the interface was intuitive. Because Adobe Xd is newer, it doesn't have as many customizable or unique prototyping transitions, features, or animations when compared to InVision. Sometimes I had an idea in mind and because there's this lack of options, it was difficult to research or experiment to find out if what I had in mind is even possible within Adobe Xd. As the product matures, I assume it will become more user-friendly and adaptable in this area. Just jump in and try it out! Allows seamless design and prototyping in one place. Easily imports images and assets. If you're experienced with other Adobe products, then this one is quite easy to learn. Adobe XD is good for creating mockups for websites or applications. My favorite part about it is that there is also an iPhone app with this that lets you preview how websites or applications will look like on the device. I also like how I can link the different pages together to show what would happen when a person clicks a certain thing. I strongly disliked the interface of Adobe XD. It starts off with a blank canvas and if you are a beginner to UX Design, then you will be very confused as to where to begin. It took me a long time to finally figure out how to work around the program. It's good to use but can just be time-consuming because there are no templates you can use. You have to do everything from scratch. I used Adobe XD in order to create a new mockup landing page for the solutions section of our website. This was was great for that. A business problem that can be solved is creating mockups of websites, whether its for an update or for a whole new website. "Adobe XD not yet there"
1. I think XD is pretty fast as compared to photoshop, especially for those designers I think XD is pretty fast as compared to photoshop, especially for those using windows OS. 2. For simple prototyping also Xd is good enough to get by with. 3. I also like the feature of importing your photoshop files into XD, its so much helpful, but there are a few bug while importing such files too. 1. I think there is a lot to improve on for XD, they are pretty slow in developing their product and take soo much of time. They had actually launched 3 years back as project comet and they are still in the beta mode. I think if you compare XD to figma or sketch, i would feel XD is lacking a lot. and way behind in the game. 2. Also there are many features that cannot be used and are just not there in XD, it is so much needed. 3. Heavy vector illustrations are also a problem to import from illustrator, it just makes the XD file so heave and crashes at the end. 4. Adding interactions and animations to XD will be a great help to make it a better product. I think for the moment i would not recommend XD for UI design as there are really a whole lot of other features that they need to add. In terms of wireframing i feel it is good enought o be used by UX designer. 1. Well it helps us develop a better product overall, its faster than Photoshop, and easier to use too. 2. Prototyping in Xd and showing it to clients is really helpful as they have a feature to include passwords also for their prototyps. "Easy to use wireframing tool"
I love how they implemented Illustrator tools for graphics creation making it easy to make quick graphics as you're working on the wireframes without having to switch to another program, design, export then import into XD. It would be very helpful if there were a way to export wireframes and have them talk directly to Xcode to maintain layout constraints, it would save everyone a TON of work not having to deal directly with Xcode's auto layout. Watch Paul Trani's tutorials on XD before getting started, they're very helpful and will make your experience very smooth. Switching from making wireframes in Photoshop. PSD files are very big and trying to design a full app can take up most of your computer's memory as you add more artboards. XD is lightweight and very user friendly. "Adobe XD - Go for it"
One of the best part of using an Adobe software is that they have a lot of common features among the Adobe family and even the UI looks very simple and easy. Another great thing about XD is that you can open a PS or AI file smoothly, which is not there in some of its competitor like Figma. Also you can also work offline and save your file which is a good thing to have sometimes. The first thing that I dislike is that its not online like Figma and hence collaboration among the team becomes difficult. Another thing that I dislike that its not good for designing assets and animation. If you are already using Adobe CC then I think you should definitely give it a try because it will integrate very well with the entire abobe family. But there a lot of competitors that are available for free that you can give a try and compare before buying a license. We already have a CC license and we are using Photoshop and Illustrator and hence it is easier for our designer to work and open these files on XD. Also since XD is a part of CC it will be more economical for us to buy it now. "A fluid, beautiful program for creating app mockups"
I love how intuitive the program is, and how simple it is to create beautiful app mockups in seconds. It's also a perfect alternative to macOS's Sketch for Windows devices, and it even fits into the Adobe Ecosystem! I don't like that the macOS version of Adobe XD is updated with features faster than it's Windows counterpart. This leads to a bit of a disappointment when you rush to try out a new feature and you can't because it's only available for those using the macOS version. Instead of looking up a ton of tutorials, open up a project and play around with the available tools. Because Adobe XD is a relatively new program, there's not that many tools to use, which is why playing around with it is going to do a lot more for you than video tutorials. I'm able to create beautiful app mockups quickly on my Windows PC, without needing to have a Mac to use Sketch. Although there are other apps for Windows devices that allow you to create mockups, the fact that this program fits into the Adobe ecosystem makes it much better than anything else. Very simple software, allows with a few tools to create wireframes and prototypes especially for smartphone and tablet applications, with the ability to include interactivity on screens and buttons to provide a complete user experience. In the future it would be useful to have additional functions, such as greater interactions, for example including the touch gestures, and offering the possibility of integrating videos or slideshows. I think it's the best software of its kind, great for designers who often make wireframes and prototypes for screens, especially because it integrates seamlessly with Illustrator and Photoshop. "Some issues, but not a bad experience overall"
Definitely worth trying out and highly considering. Knowing Adobe, they will stay on top of the browser changes and this product will be good to go in no time. The change in Chrome is the only hold up that I see so far. One of the main benefits is the transition from design software to prototyping. "User Experience Design Made Easy"
I love the wide range of tools and presets at your disposal that makes creating wireframes a walk in a park. Having the ability to easily create interactive prototypes to show how your wireframes all connect between webpages is awesome. Even just on starting your first project you can choose from various canvas sizes according to the devices you are designing for which makes your life a lot more easier for just having a starting point. The User Interface for Adobe XD is very clean and makes finding relevant tools extremely easy. I don't like how the panning and zooming between Art-boards work. It can become a bit overwhelming when working with multiple art-boards when trying to see each art-board at full screen. I also don't like the fact that there is no CSS export which makes it a bit of a pain when coding/building the site. This to me is strange simply because Photoshop has this capability. If you are familiar with other Adobe products such as Photoshop or Illustrator then you will see many similarities between Adobe XD and those products. With that being said not everything works exactly the same and therefore there will be small annoyances with panning and various shortcuts that will take a bit of getting use to. Having the privilege of working on many web projects, softwares like Adobe XD are really essential for designing the user flow journey of the overall site. With the simplistic usability of the software allows you to mock up the most complex site with high level functionality. "A powerful but usable design and prototyping tool"
Diving into design in Xd is a new experience. The workspace is unlike most of Adobe’s professional apps, it’s simplified with less of a barrier to entry. The app is both new and familiar so the learning curve was easy, once I adjusted to the new arrangement of the single window environment. Diving into design in Xd is a novel experience. The workspace is different most of Adobe’s professional apps, it’s simplified with less of a barrier to entrance. The app is both fresh and familiar, so the learning curve was easy, one time I adjusted to the new system of the single window environment. The greatest benefit is how extremely fast Adobe XD is compared with other prototyping tools. I'm capable to create multiple concepts in the amount of time it would convey to create one concept with a standardized creature. I love that Adobe has UI kits you can download to use in your own XD projects. Also, my favorite feature is being able to upload your projects online as an interactive prototype - very useful. I don't really inherently dislike anything about XD. It is so much better than similar prototype software, like InVision, in my opinion. Watching the tutorial at the beginning is so helpful and insightful, but if you don't watch it, I guess XD would be considered slightly confusing to navigate/use. Watch the tutorial when you first download it. The online prototype publish feature is the biggest benefit in my opinion. Being able to share an interactive version of your designs wit coworkers, peers, etc. is a huge benefit. "Super fast UX/UI mockups and testing at your fingertips "
Part of the Adobe CC and designed with the user in mind to save time creating, making changes and sharing with the team for feedback. Adobe seemed to come late to the party with the XD product. I wish they'd done so a few years earlier. If you are already an Adobe CC customer ditch your other UX/UI prototyping tools and start using XD. It's already in your arsenal and ready for use. The free tutorials are amazing to get you started and keep you moving forward. We use Adobe XD for our digital marketing website, landing page, and app proof of concepts. "Adobe XD falls short for high-fidelity prototyping on Windows"
To use any of the UI dev kits (or anything that you'd make on your own), you have to copy them from a whole different XD project - there's no ability to save UI components and drag-and-drop them in from a sidebar. Also, I know the Design Specs feature is in beta, but it's very limited as well. Be aware of the limitations compared to other prototyping tools on the market before you commit to it. We use XD for creating high-fidelity prototypes for proposed software features & updates - the UX team passes these prototypes off to our engineers for development. "Quick and easy prototyping for everyone"
Adobe XD is really handy and easy to use, unlike its other products. Coming from Illustrator or Photoshop I swiftly was able to navigate through XD as its user interface felt intuitive and fluid. Little things like copying and pasting results in the copied element appearing on the same spot and grids and measurements help create pixel perfect mockups, yet with enough flexibility and speed for low fidelity mockups. Lack of design specs export locally (Internet and CC is required to do that) advanced prototyping animations are missing (only artboards animate, not individual layers). Compatibility with other software like Sketch is lacking and using the layer panel needs a bit of a different approach from other Adobe products. Worth mentoring other colleagues dependent on this work as the software is so easy to use. I work with developers and integrating XD into their workflow has saved both of us time. "The best software for prototyping"
Adobe XD makes it incredibly easy to mock up a pixel perfect concept. It is much better than some similar tools, which at best give you bare bones wireframes. Even though it is just a prototyping tool, it could be better if it gave you the ability to seamlessly transfer what you design into usable code. The biggest benefit is how extremely fast Adobe XD is compared with other prototyping tools. I'm able to create multiple concepts in the amount of time it would take to create one concept with a similar tool. "An up and coming star to take define web design flow"
Adobe XD has quickly developed into a program that matches its rivals, like Sketch. It's coming up to par with industry standards, and defining necessities for UX designers. XD is still lacking necessary features, granted they would be the first to really achieve them when released, the fact that there is no live collaboration is difficult, but adobe would be the first to have a local software where I and my teammates can design together in one document, local on all of our machines, in the cloud. We do all wireframes in my workplace with XD and it has saved our butts multiple times; it's easy enough to pickup in an hour, and super simple for assembling elements. "Latest updates are very satisfying"
Making UI/UX designs has never been easier. Transferring from Illustrator to XD is just amazing. I also appreciate XD for its functionality, it allows our developers see an almost full prototype of how the design should flow. I am able to show a full flow and through the prototyping function. "Awesome for UI, UX and simple/flat designs"
The usability - it has a lower learning curve than Illustrator and Photoshop, but is still really powerful for anything from concepts, wireframes, mockups, and full designs. The interface is a little bit Mac-y. But maybe that's a good thing? I kind of miss the Adobe-ness of it, but that's a small piece of the whole thing. Awesome for concepting, wire-framing, and flatter designs. UX and UI elements would be a great use case for this. Super easy exporting for SVGs, which is brownie points for the devs using it to cut up designs (ahem, me). Ease of wire framing and exporting SVGs. Much (by that I mean, VERY much) smaller file sizes compared to Photoshop. The smaller file sizes mean that they open much faster and navigating around them is much quicker. XD is the fastest design tool and its deliberately designed that way by omitting unwanted features. You will find some essential features are missing, especially when coming from other software, but stick to it and you will get used to it. I think this product is ready for production level projects. Provides a very quick way to transform ideas into clickable prototypes. The design process thereafter is also quick. You can sign, redact, edit, create, and move pages to the correct order. Plus bates stamping! Electronic signing and tracking said signing is a great help too for people not directly in front of you. That the original adobe does not have some of these features and while it will allow for electronic signing; its not nearly as complete as using this version. Always save versions of your living document. Usually it will name them for you as a different version to writ over but I always save an original, working and then final copy. Scanning documents from clients and putting them in date order on the computer and not manually. Bates stamping. Cleaning up documents with extra ink on them to make for a cleaner printed page. "Doesn't stack up to Sketch." I can't say that there is anything I like about XD. Symbols aren't as powerful as they are in Sketch. You can't do overrides, nested symbols, etc. The vector drawing tools are not as powerful. Even just selecting multiple elements in different groups are not as convenient as they are in Sketch. The whole supposed advantage of XD is that you can do everything in one platform: design, prototype, and create design specs. But each of those respective tools aren't as good as the alternatives out there, so we find ourselves using Proto.io, and Zeplin anyways, negating any potential advantage to using XD. It's not as powerful as the other options out there. We have an Adobe CC license already, so it saves money for us to use XD. "Making wireframes and UI designs simple"
Maybe it's a little too simplistic and they should provide an advanced toolbar for hose advanced users. Go for it. It's a wonderful piece of software and Adobe is just killing the wireframing horizon with this. Making wireframes was easy and the softwares cheaper in comparison to other wireframing softwares. The software allows us to have a prototype or an early view of how the product will look. "Surprisingly user friendly (compared to other Adobe products)"
I was able to get up and running without tutorials or guides (which is unusual for the typical Adobe product). The user interface is simple - overall I like it. If you're a "pro" with Photoshop, Illustrator, Premiere, and other Adobe products, this is a bit different - it has fewer features but a much simpler user experience. If you're a "power user", there are probably other [more sophisticated] tools for you. Great for getting up and running quickly and small layout/design/planning work. If you're a power user looking for sophisticated features, look elsewhere. It's great for quickly drawing something (user interface elements for web and mobile apps) and planning layout / colours / etc. "Incredible, simple to use software by Adobe, a must have." The simplicity. Adobe XD is the easiest software to use by Adobe in my opinion. The best part about it is that it also has so many things it can offer. You can work 5x faster in Adobe XD. Working in the web and app design industry, it makes my job a lot faster and easier. Everything I dislike about it they are currently working on resolving. I can’t really say anything bad about the product. Absolutely necessary for any designer these days. Powerful tool. Wire framing, creating mockups for websites, designing and prototyping apps. "Beautiful prototypes, but limited functions." The prototypes you can create with Adobe XD are beautiful, and XD works seamlessly with other Adobe programs. Vector items from Illustrator can easily be transferred, such as logos. Additionally, the group and copy features are easy to work with. There is no scrolling feature that works within shapes. I vertical and horizontal scrolling option is necessary. Also there is no hover feature, making it hard to design website menus. This program is better for people who need very basic prototypes. I am able to show my clients essentially what my web and mobile designs would look like, minus some of the functionality. I also can record a video clicking through the prototypes. "Great software but missing some features"
Really like the compatibility with other adobe products. Easy to use, features limited to the most necessary ones. i wish there were rules. its pretty hard to align the elements without them. it'd be great to be able to connect it to InVision app too. Also, cant zoom into the project I share with other people. you might want to switch to Adobe XD if you dont like working in sketch. * We monitor all Adobe XD reviews to prevent fraudulent reviews and keep review quality high. We do not post reviews by company employees or direct competitors. Validated reviews require the user to submit a screenshot of the product containing their user ID, in order to verify a user is an actual user of the product. Hi there! Are you looking to implement a solution like Adobe XD?